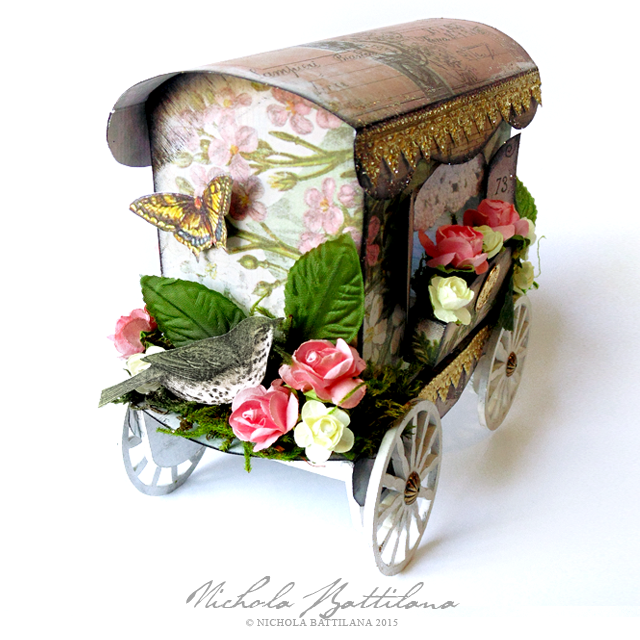 Every time I post a little paper caravan I get a few requests for a 'how-to'. I've FINALLY drafted a streamlined pattern to create a basic, simplified version. The template and tutorial are available as an instant download from my etsy shop. A few important notes about the design. • The design does NOT include wheels. I recommend 2" Fancy Wheels from GinasDesigns.net Gina designed them at my request, and they are perfect for this project. Great value, easy to use, and lightweight. • The design DOES include one template PDF and a three page instructional PDF. • You can complete this project with just one 12" sheet of scrapbook paper if it has a random design. If using papers that have repeating patterns (or a specific orientation) you will need more than one sheet to ensure that everything is facing the right way. • More notes on paper: double-sided would be best to use as the reverse can be peeked at! Thick paper / card is recommended. • Dresden borders are your friend. These will absolutely add the feeling of ornate detailing to your project. • A scoreboard is highly recommended for this project. Scoring helps your folds to be neat and straight. If you do any sort of paper crafting, spend the $20 - $30 and invest in one. It's one of those things that will leave you wondering how you crafted without it. 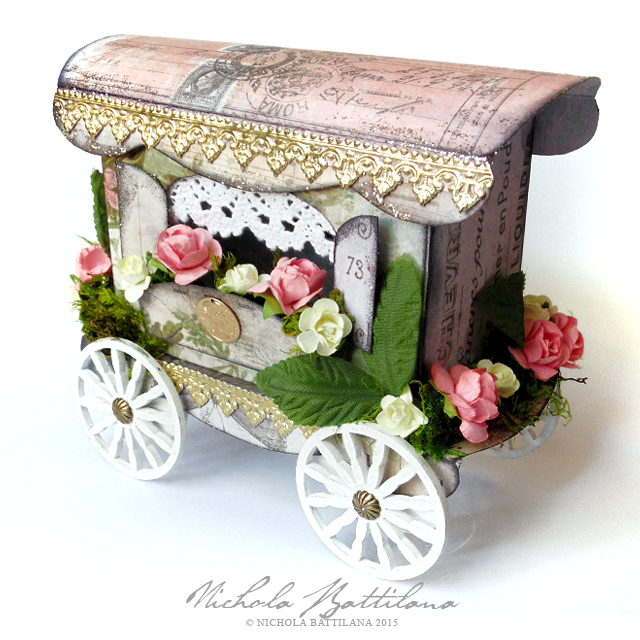 The paper I've used on this caravan is from Tim Holtz Wallflower 12x12 Paper Stash. 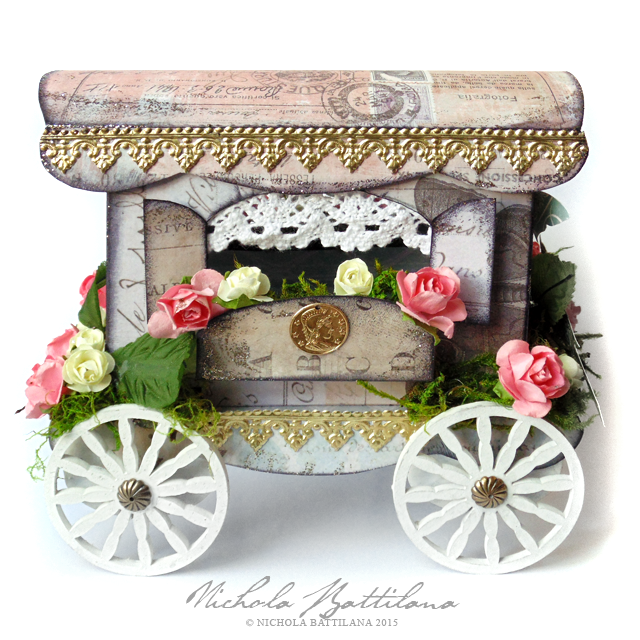 You will want to use a heavy weight paper / card for this project. My favourite papers for making caravans have been these super thick Sanctuary Scrapbook Papers. If you've got a bit of crafting under your belt and want a project that you can alter and make your very own... this is for you. 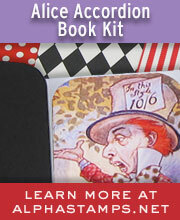 Easily changeable with paper selection, color choice and embellishments used. For those even braver, change the window shape/size, the window box, the shutters, the edging and make this project your very own. Go on then! What are you waiting for?! Go make some tiny paper Gypsy magic!